Posted on November 25, 2015 by . Posted on November 19, 2015 by . 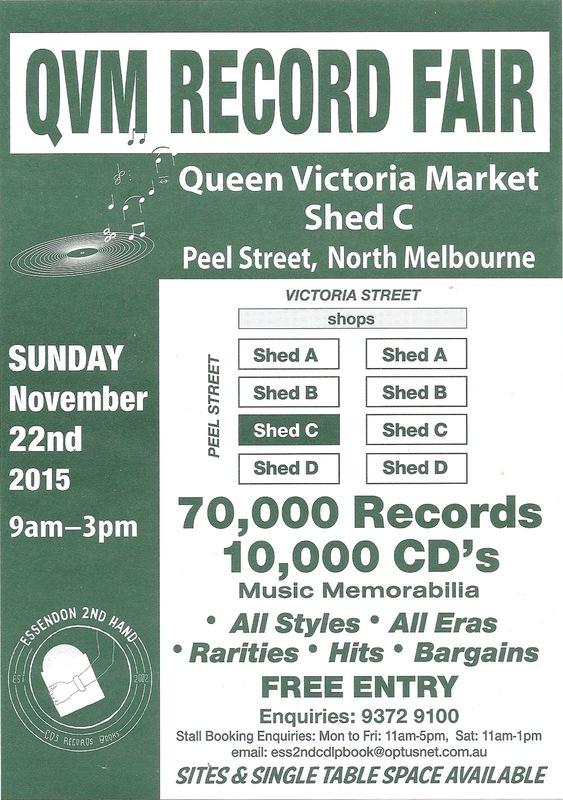 Melbourne’s record collectors will present a genuine 70,000 Records, 10,000 CD’s and music memorabilia from the past till present in association with and at the Queen Victoria Market on Sunday 22 November 2015, in Shed C between 9am and 3 pm. This is our inaugural fair and the featured event of the week at this iconic venue. Stall holders will have an extensive range of pop, rock, grunge, blues, jazz, country, folk, punk, progressive, heavy metal, electronica, dance, alternative, funk, soul, disco, easy listening, and selections of most other styles. Vinyl forms 75% of stock. Music magazines, books, music, DVD’s, and memorabilia will be available. 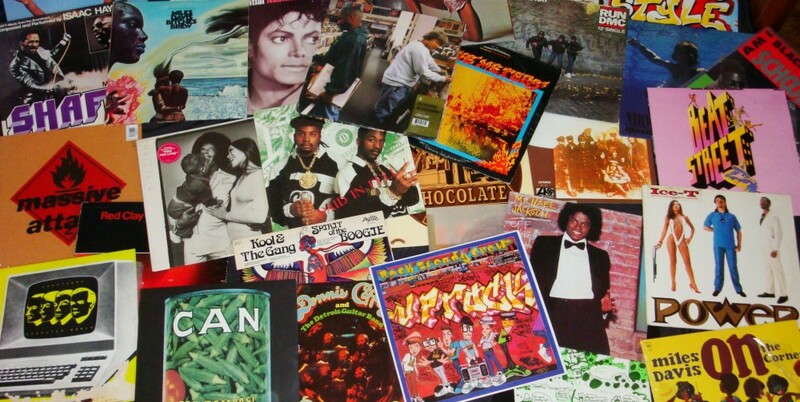 From rarities to $2 boxes of LPs, you will find it all. 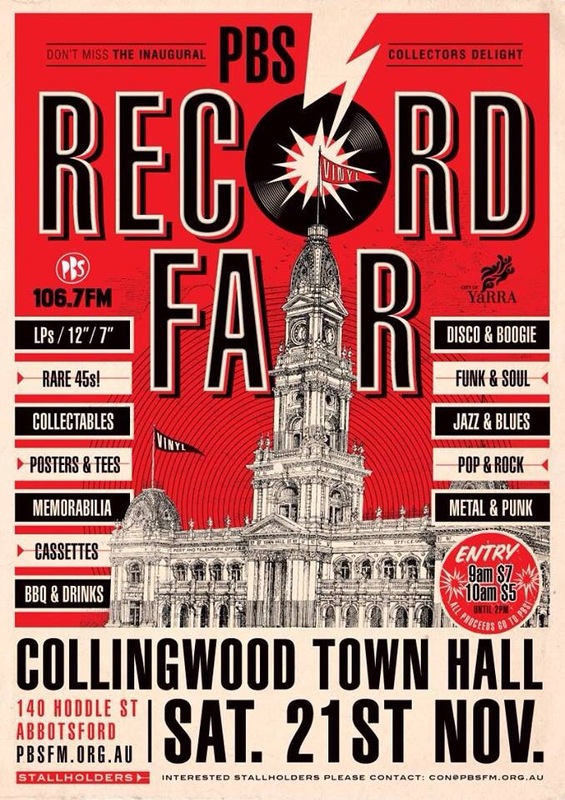 Despite record fairs existing in Melbourne since 1982, they have been one of the underground archivists and enthusiasts most anticipated and non-mainstream events for over 30 years. Vinyl never went away here even through the 1990’s CD heyday. It’s a place to find your Holy Grail of vinyl, make stallholder connections who will help or share their vast knowledge in a non-digital setting. Forget Google and talk to real people or browse in solitude as it is all an individual experience with no inherent barriers. The stall holders are an intriguing mix of dedicated collectors. People attend in search of rarities, bargains, favourites from their past, unusual and more recent items. Many spend 2-3 hours or more browsing in a friendly atmosphere where people of all ages and musical persuasions can be found with the same passion. It’s a journey through the past. The Essendon Record and CD Fair in conjunction with Essendon Secondhand Records are combining 40 years of active obsession with vinyl to make this a day music lovers will not want to miss. Free entry to the fair as well. With over 40 stalls jam packed with dealers selling the finest collectables as well as thousands of bargains, there’ll be something for everyone. LPs, 12”, 7”, CDs, Posters, T-Shirts, Music Memorabilia and more! Plus a gourmet sausages sizzle out front to keep your energy up. Posted on November 10, 2015 by . Posted on November 9, 2015 by . Posted on March 3, 2015 by . Massive record Sale! 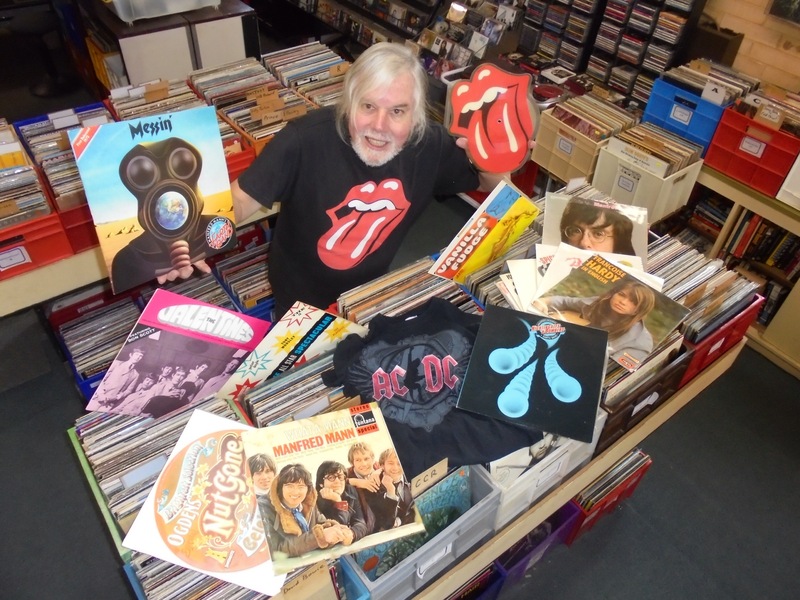 Over 40,000 Lp’s, 45’s, 1000’s of CDs, record Sleeves, Classics, Cheap Bargains and Rarities. Our first Fair for 2015 is happening on Sundays 29th of March… We’re getting extremely excited and can say that everything’s ready to rock and it’s looking like it’s going to be a great fairs. We have 50 tables booked, so its going to be a Full House! To give you an idea of how much music there will be, Each table holds 10 Crates of Vinyl and a Crate holds 60-70 LP’s. Who’ll be selling at the Fair? We have a great mix of Quality Sellers coming from all over Melbourne include Private Collectors, DJ’s, Musicians, Radio Presenters, Independent Music Stores and Professional Sellers. Many of the regular sellers that are taking part have been personally invited back because they consistently bring a quality mix of music covering all styles and genres. What style of music will there be? There’ll be crate after crate of Rock and Pop on Vinyl and CD, including releases from Australia, UK and the USA. As always, expect to see a healthy slab of Original Soul, Funk, Disco & Jazz as well as stacks of 80′s & 90′s Hip Hop and Beats! Some sellers will have an stuff like weird Electronica, Progressive Rock, Folk, Krautrock and New Wave. There’s also going to be Record Sleeves and music memorabilia. There’s a couple of EX DJ’s specializing in Dance music inc.House, Breaks, Electro & Techno. Cheap Vinyl & CD’S ? The afternoon can be great if you’re looking for a bargain at the fair. I’ve noticed quite a number of sellers at previous fairs doing some crazy mark downs as the day progresses.